Would You Prefer To Shop On Amazon? 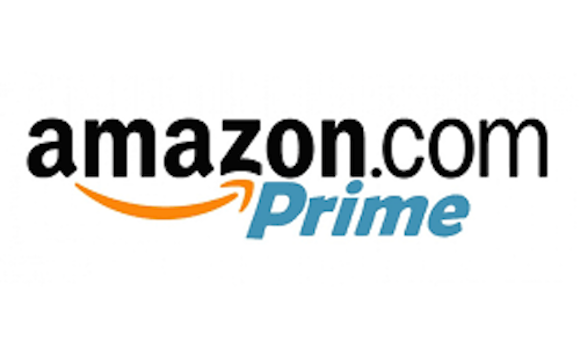 Click The Link Below To Purchase Our Products On Amazon! 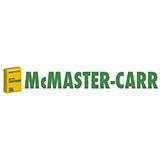 Direct imprint any logo, graphic, design, or slogan on any of our corrugated products. 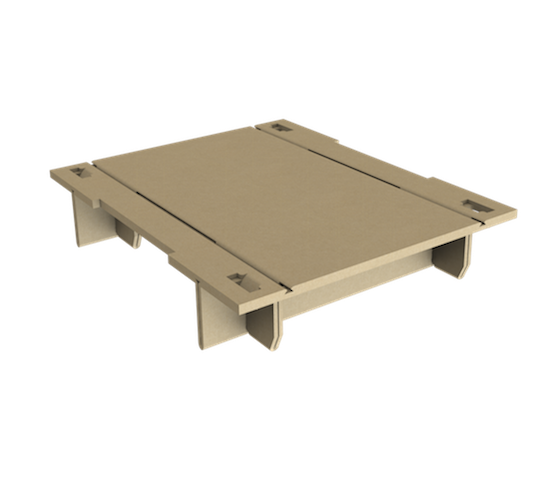 One Earth is a LIFDEK Licensee, supplying corrugated pallets in the U.S. Click on the link below to learn more about how corrugated pallets can save you money, and give us a call for a quote. 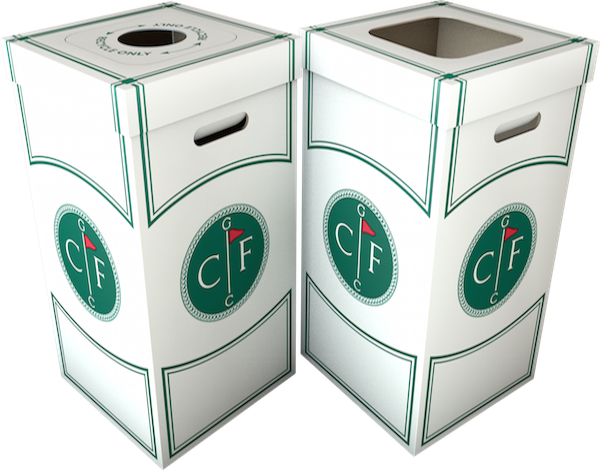 Our themed containers not only serve the purpose of collecting waste and recycling products, but also help add to the ambiance of any event. 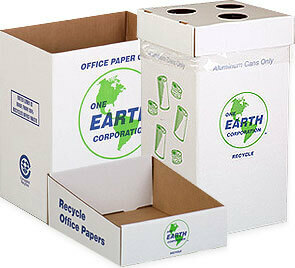 Our stock product line is perfect for any office recycling program or outdoor event. 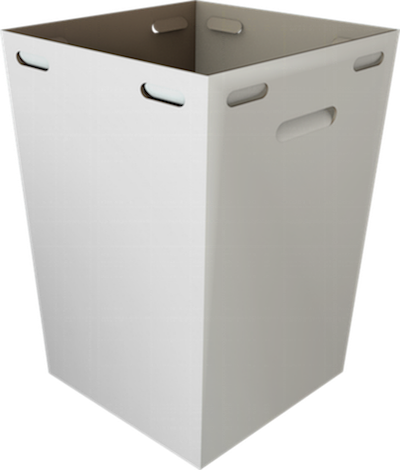 Our Disposable White Cardboard Bins Include An Optional Multifunction Lid For Waste And Recycling. Add Our Biodegradable Trash Bag, And You Are Ready For Your Event! 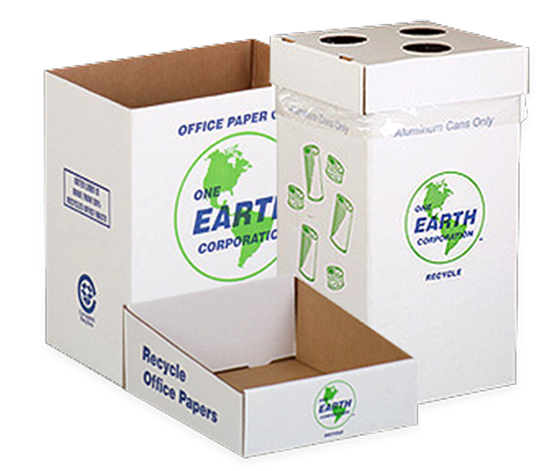 One Earth Company provides convenient and easy to use corrugated waste and recycling containers. 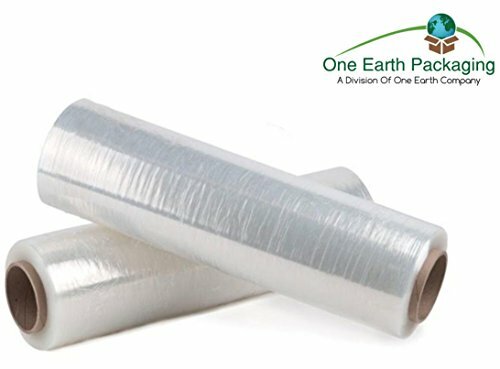 All of our products are made of 50% recycled material, with the outer liner made from 35% recycled office waste. 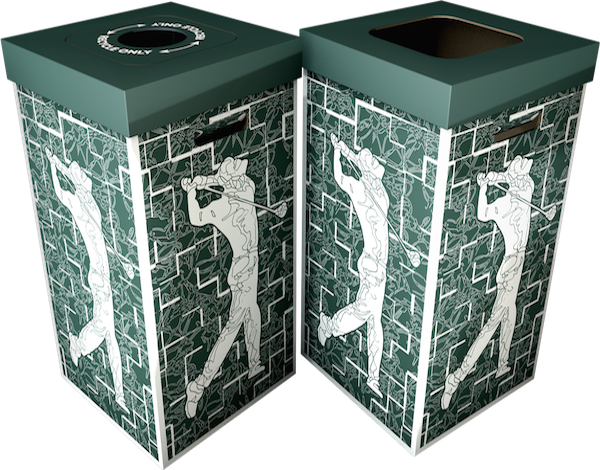 Rugged, inexpensive and handy, our products make it easy to collect either recyclables or trash. One Earth can print your logo or any message you would like on any of the products that we offer for a nominal charge. 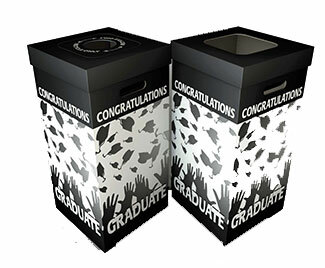 It is a helpful advertising tool, while at the same time enhances your image by demonstrating your commitment to the environment by using a recycled waste container from One Earth. Recently, we have come across the technology to make our entire product line waterproof. This new technology makes our products perfect for any outdoor event, no matter what Mother Nature has in store. 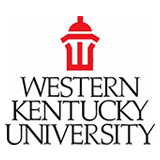 If you are interested in our waterproof products, give us a call and receive a personal quote.